Our team has transformed external and internal areas in gardens, offices, and schools into stunning spaces that stay in perfect condition throughout every season. Check out our range of artificial grasses and find the perfect solution for your needs. If you need a hand with installation, we can quote for that too. Put us to the test by ordering a free sample, and if you have any questions please get in touch. Artificial grass is becoming increasingly popular in the United Kingdom with more and more families and businesses choosing to opt for low maintenance, high-quality artificial lawns. If you have any questions about the installation process or using artificial grass in your home or business, check out our FAQs below, and if you can’t find the answer there, simply get in touch and a member of our team will get back to you as quickly as possible. In short – longer than natural grass! 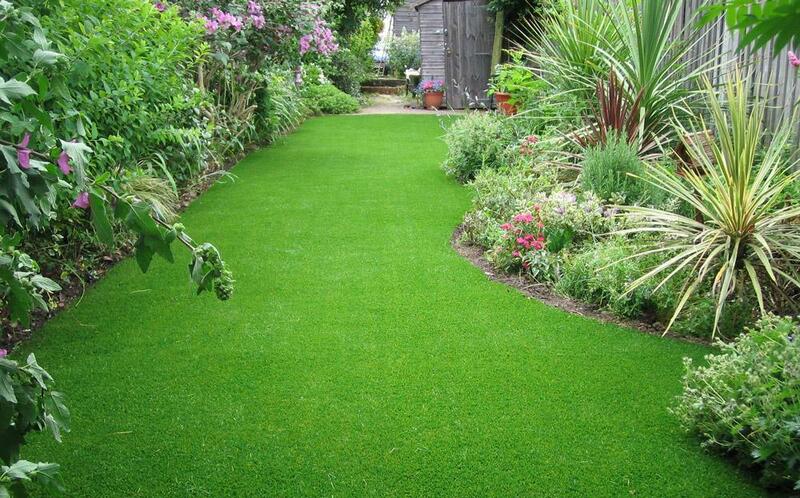 Our ranges of artificial grass can last 20 years or more with the right level of care. Depending on the level of traffic in the area it might not even fade or flatten in that time. Will my garden drain as well with artificial grass? Yes – artificial grass drains like real grass. It’s porous, allowing rain water to drain through it into the soil below. Does artificial grass need any on-going maintenance? Yes, but not much, and considerably less than real grass. Say goodbye to summer evenings spent with a lawn mower or hosepipe as all you really need to do is keep your artificial lawn clear of debris and leaves. Just give it the occasional once-over with a stiff brush or a quick hose down for heavier soiling. Check out our complete guide for more information on on-going maintenance. Modern artificial grass will hold its colour for a long time. You might notice that as the grass beds in the colour changes a little, but this isn’t the grass fading (the blades of grass aren’t going to slowly transition to white – don’t’ worry). The artificial grass we use is high quality, so it will not fade in the sunshine. Is it suitable for a household with pets? Yes, artificial grass is fine for pets - in fact, the feedback we get is that dogs love it. Is artificial grass okay for families with children? Yes, artificial grass is perfectly safe for children. If installed correctly, it provides a wonderful surface for children to run around and play on. Some types of artificial grass are better than others, and cheaper varieties might bobble or tear with excessive use. However, we stock top of the range grass, which should cope perfectly with little ones running around on it. Yes and no. 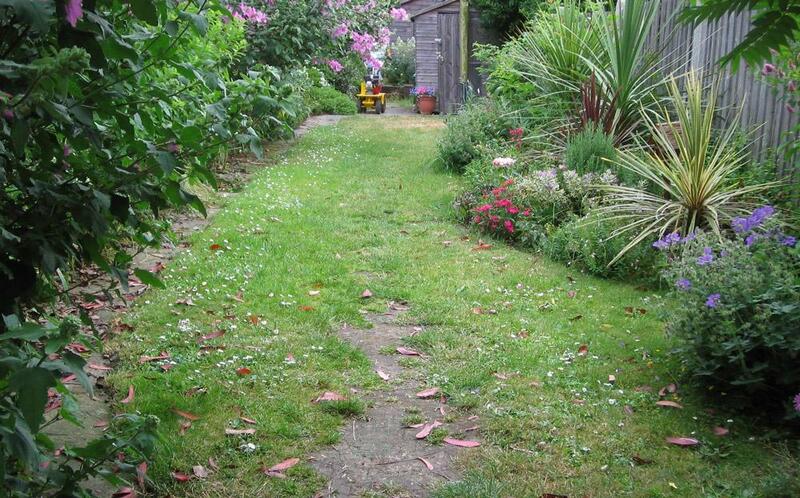 It is perfectly possible to lay the grass yourself, in fact, we’ve put together a guide to help you do so. However, we wouldn’t always recommend you try to install your own grass. If you’re looking to learn more about artificial grass, either get in touch or check out our complete guide to artificial turf.